Telegärtner presented completely reworked cable splitters for up to 48 fibres at SPS/IPC/Drives. The new splitters are extremely robust and now feature a metric thread. 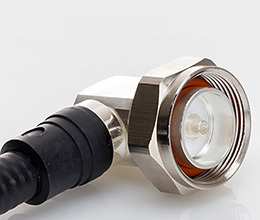 IP68 versions are also suitable for outdoor applications in harsh environments . ‘Customers who build their own distribution panels can now attach all ready-to-connect TICNET fibre optic lines offered by Telegärtner using just two opening sizes’, promises Dirk Traeger, Technical Solutions Manager DataVoice at Telegärtner Karl Gärtner GmbH. The manufacturer completely revamped its tried and tested family of cable splitters. The ODS cable splitter connector was thereby converted to a metric thread and standardised. M20 splitters for 4 to 24 fibres are now available. The splitter for 48 fibres has a size M25 metric thread. The new products are available with the usual IP54 protection rating. Telegärtner has developed an M20 version with an IP68 rating for outdoor applications and use in harsh industrial environments. It provides for secure, reliable and fast connections, for example, in solar power stations, mines or city networks. Together with outdoor fibre optic cables from the manufacturer, these splitters offer users robust, weatherproof and UV-resistant outdoor solutions. For this the IP68 splitters are screwed to the distribution panel housing and thus form a waterproof, dustproof and weather-resistant transition. 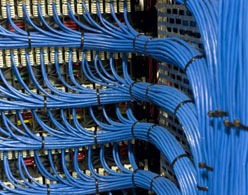 The cables with the fibre optic connectors (‘legs’) are installed safely inside the distribution panel. The cable splitters are in-house developments and are manufactured by Telegärtner. In addition to an abundance of experience and the best manufacturing technology, only selected components go into this. Professional installers, planners and users can configure ready-to-connect fibre optic lines for indoor and outdoor use online with the TICNET configurator on the Telegärtner website. With just a few clicks configurations can be created to meet individual requirements. New from Telegärtner: Completely redesigned cable splitters for up to 48 fibers.